Maintenance Crew Races to Beat Impending Weather! The weather forecast is for rain tomorrow and cold temperatures to set in immediately following. We have finished topdressing the greens except for portions of the practice green which will be completed on Thursday. We spent a large amount of our man hours today preparing and sodding some patches on the practice green and the newly installed drain area in #18 approach. We didn't finish completely, but accomplished more than I thought we would considering our limited work force. The "finish" work will be completed on Thursday. The long range forecast shows consistent overnight temperatures in the twenties and highs in the low forties. This means frozen ground that is unworkable. Looks like we are going to win this battle by a hair! Greens Being Fertilized, Topdressed & Closed Today! We got a slow start to closing the greens today. The low temperature this morning was 27 degrees. 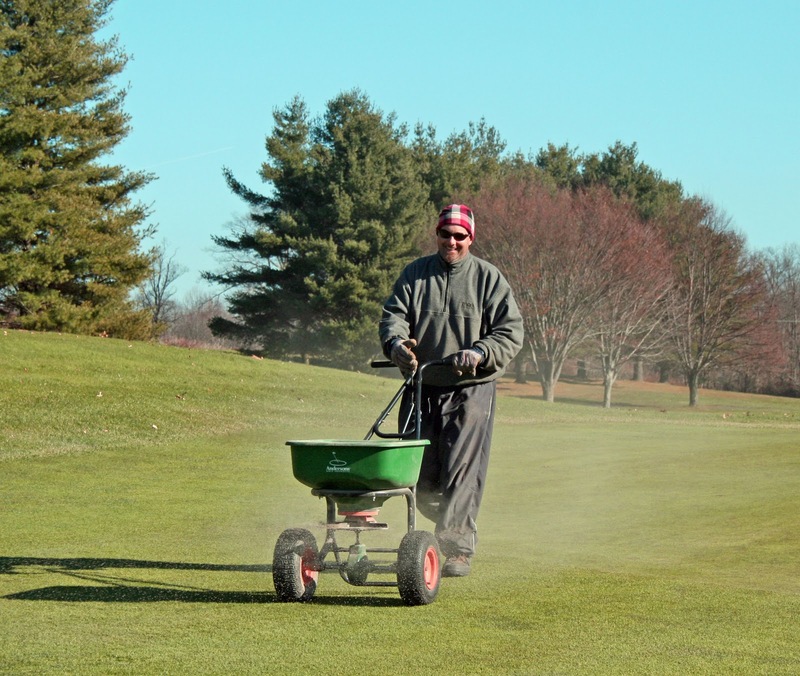 The course did not thaw enough for us to start the fertilizing and topdressing until noon. We will accomplish as much as possible today and finish tomorrow. The greens we don't topdress today are still not open because they are frozen. All greens are now closed for the winter. 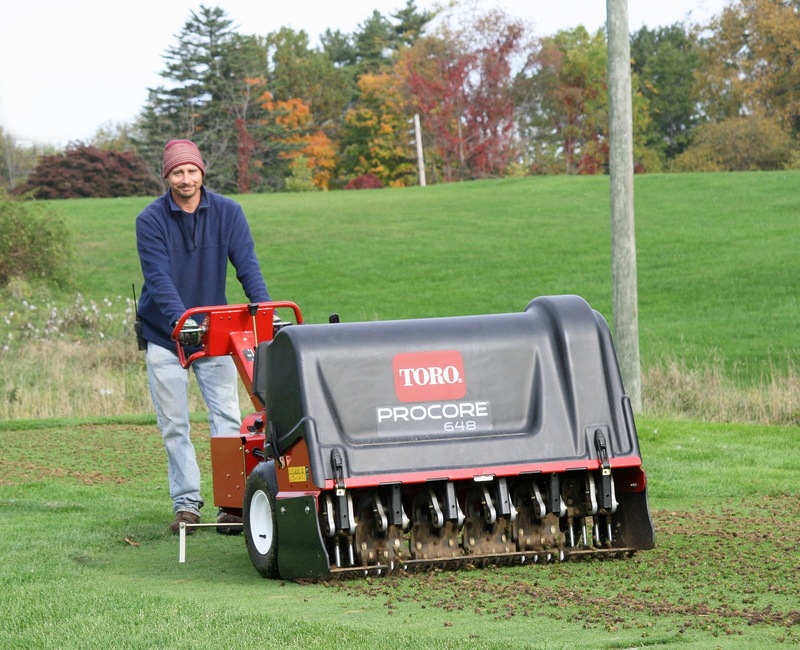 Winterizing Greens Begins Monday November 29th! I have been reviewing the long range forecast closely and it shows a significant change in the weather pattern. By late in the week we will consistently see low temperatures in the twenties and highs in the low to mid forties. There is even a chance for light snow and mixed precipitation. We will begin preparing the greens for closing on Monday. The last step in our “winterizing” process is the application of a heavy topdressing. 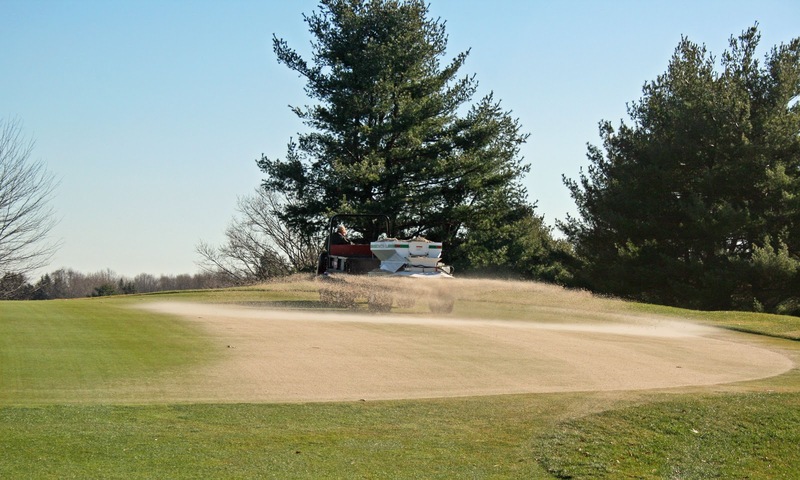 Once this protective blanket of sand is applied, the greens will be closed for the season. The course will remain open with temporary greens being used in the fairways. 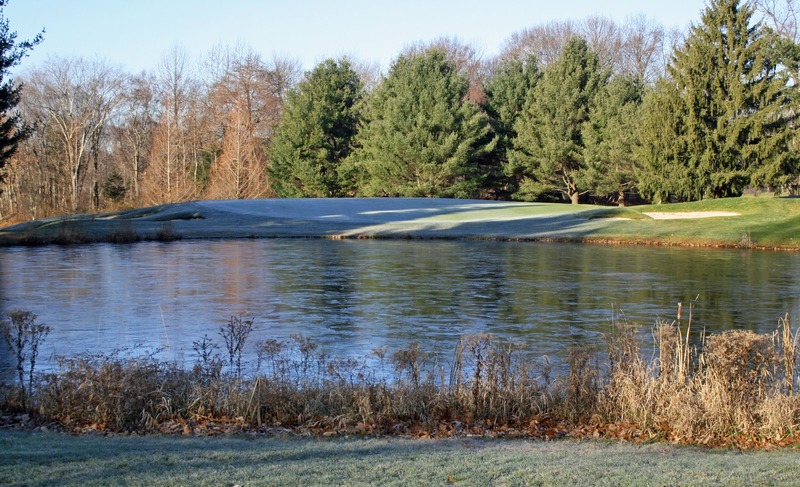 Frost/freeze delay procedures will remain in effect each morning. If there is frost or frozen ground, play will be delayed. 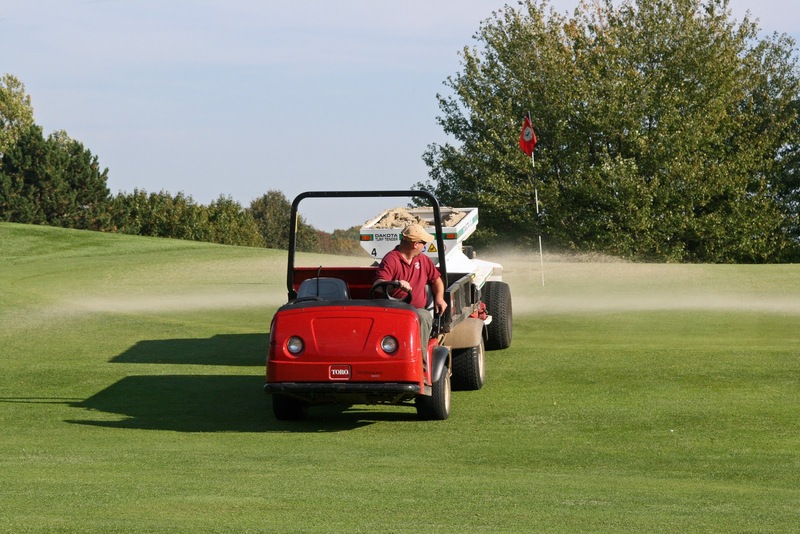 The use of carts will still be allowed as long as ground conditions are not prohibitive. It’s critical to protect the greens in the winter months. 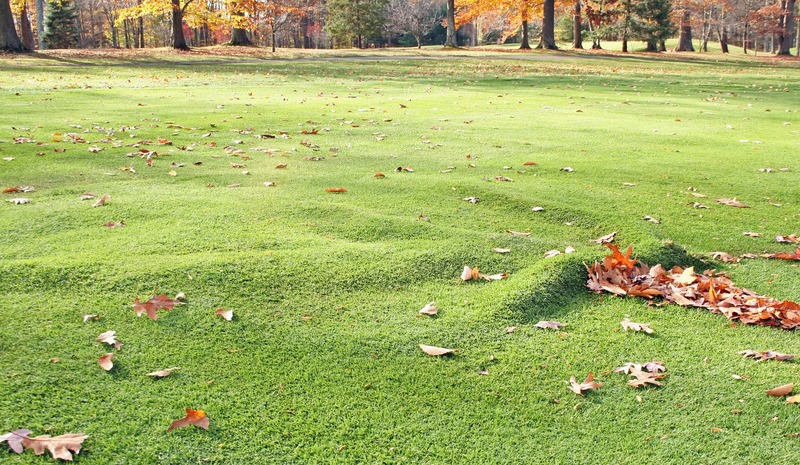 Damage sustained in the off-season can affect the health and playability for months the following season. 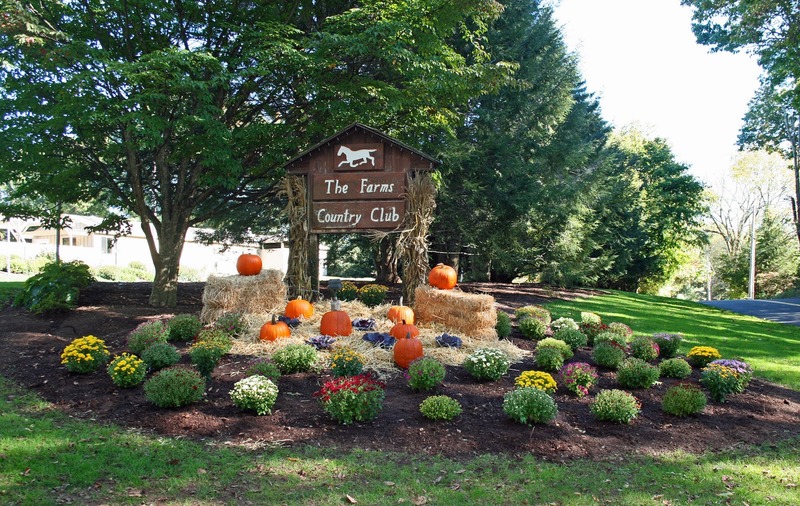 Thank you for understanding and supporting the maintenance staff while we protect one of The Farms Country Club’s most important assets. Course Supplies Being Removed but Greens are Open. 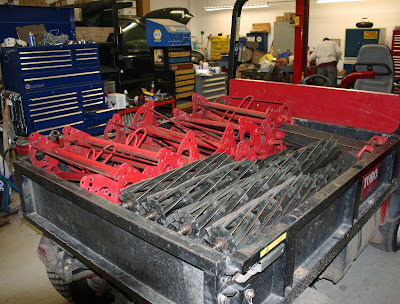 We are bringing in the course supplies like rakes, signs, stakes, ball washers and ropes. 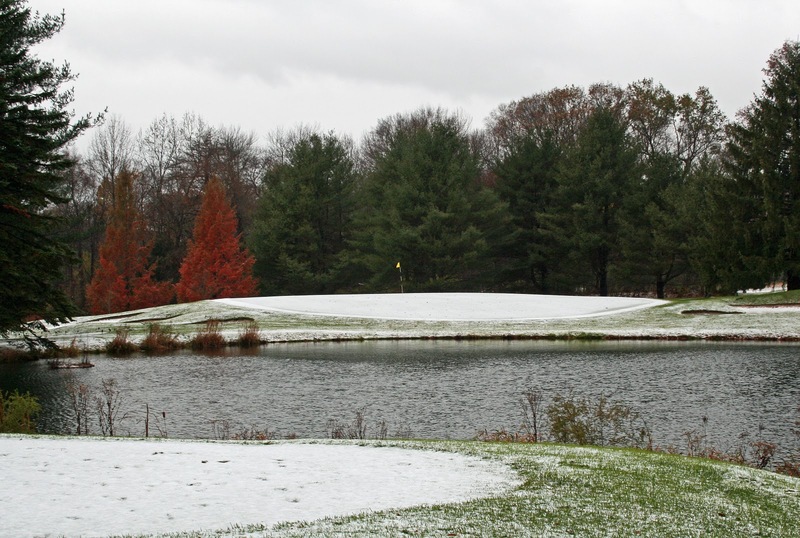 The greens will remain open as long as weather allows. Carts will also remain available. Just remember to be careful where you drive since many signs and ropes have been removed. For more information on "Golf Car Control", Check out this link to TURFNET for the funny and informative video. We are making a light sand topdressing application to the greens today. This is not the heavy application we apply when closing the greens. Today's maintenance practice is the same as the season long, light applications we make which smooth the green surfaces. It will actually improve putting conditions. We have mowed the greens for the last time this season. 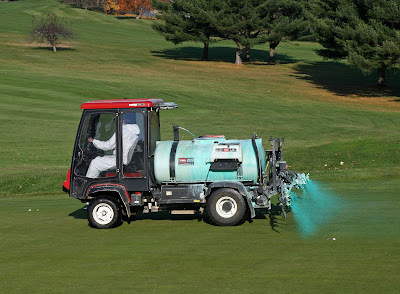 Once we apply the winter plant protectant we're unable mow the greens again. 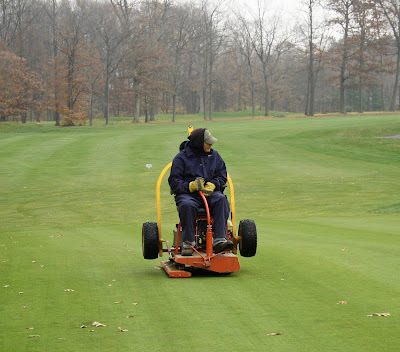 Further mowing would reduce the efficacy of the application and expose us to winter snow mold diseases. Not to worry... The grass is not growing anymore and we can still roll on occasion. Rolling the greens will continue to provide a quality putting surface. The greens are stimping at 10 1/2 feet today! The last step in preparing the greens for winter will be a heavy coat of sand topdressing. 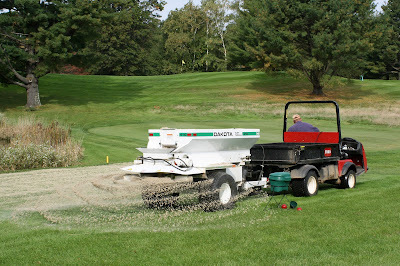 Once the topdressing is applied the greens will be closed for the winter. At this point, the long range forecast looks promising so I don't have a closing date in mind. I will continue to monitor the weather and will keep you updated. In the mean time, hit the links! Conditions are great! Deep Tine Aerifying Greens Isn't The End Of Great Greens! We have deep-tine aerified the greens. This is an important agronomic step in preparing the greens for the stresses of winter. After aerifying, the greens are double rolled to smooth them. We had tremendous success in achieving our agronomic goal while still providing players with excellent putting surfaces. Don't think the golf season is over yet! You will be thrilled with the conditions! The Greens are stimping at 11 feet today and the ball roll is smooth! A two inch irrigation pipe broke on #12 fairway last night. 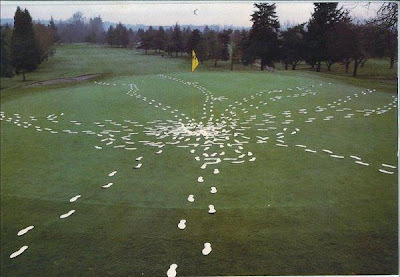 It was actually discovered by Gary Damato early this morning as he walked the course. Thanks Mr. Damato! There was some damage to the turf but it will easily be fixed once the pipe repairs are complete. 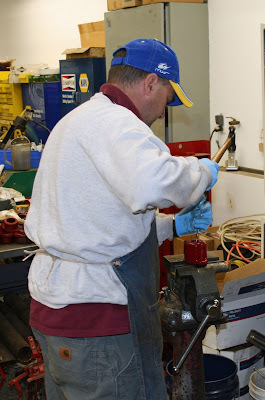 These types of breaks are commonly associated with irrigation systems that are near fifteen years old. Here is my latest entry from my blog at CTGolfer.com. I thought you might find it interesting. 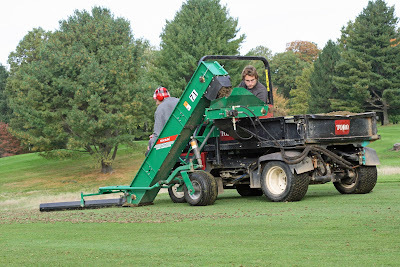 All golf course maintenance budgets have been feeling the effects from a suffering economy. Private, public, municipal and resort courses across the country have had to be creative trimming maintenance budgets while continuing to keep course conditions at the highest level possible. Budgetary challenges have increased each of the past few years since the start of the downturn in the economy. Superintendents have had to revisit maintenance priorities and how they relate to golfer expectations. The key component to successful budget reductions is to solicit and analyze player feedback and close the gap between the golfers’ expectations and the superintendent’s perception of high quality course conditions. Obviously greens take the highest maintenance priorities with tees and fairways being a close second. Greens affect an approximate seventy five percent of the shots in a round of golf. The reception of the approach shot and two putts on average. What areas of the budget does a superintendent look at when making these cuts? Labor is number one. Reduction in mowing frequency during “off-peak” times will clearly help the bottom line but cuts must be deeper than that. Trimming the size of the work force and the rate of hourly pay must be visited. Payroll taxes, health insurance and other related costs are reduced when labor reductions are instituted. Elimination of overtime, restructuring labor force type (seasonal vs. year-round, part-time vs. full-time) all play a significant role in responsible budgetary management. 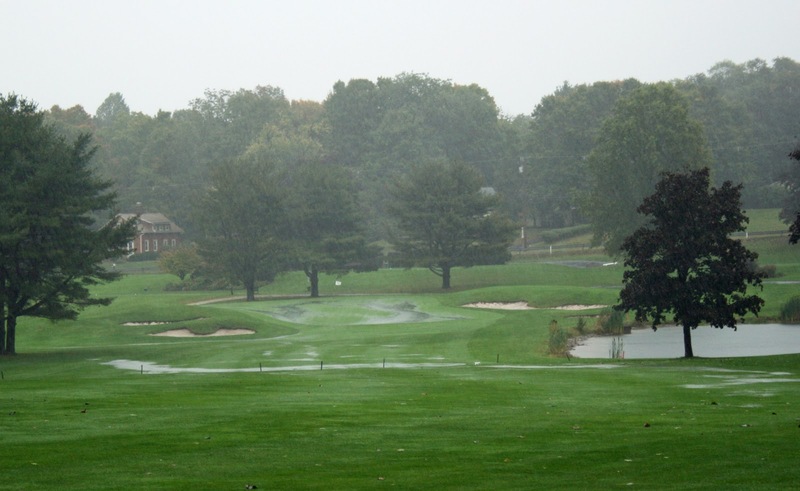 The superintendent must be careful because if labor cuts are too dramatic, players will definitely notice the reduction in day to day conditions. 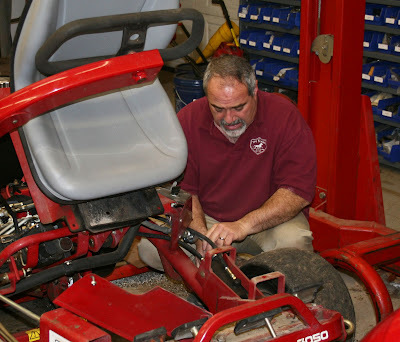 After all, you can have all the best equipment, fertilizers and supplies, but if you do not have enough properly trained and experienced employees to utilize these tools, the benefits are never maximized for the players. 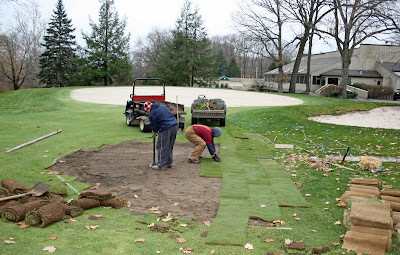 Bunker maintenance is right there with greens maintenance as far as cost is concerned. 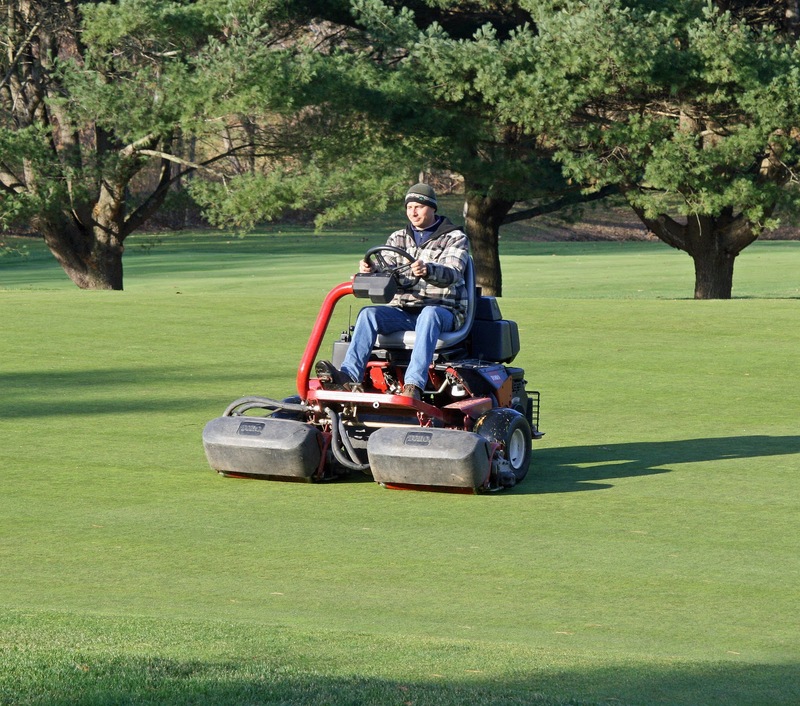 Reduction of the type and scheduling of grooming can greatly reduce costs. Instead of the seven day a week complete raking of the bunkers, superintendents may skip some days or just rake small disturbed areas that have been unattended to by the player. 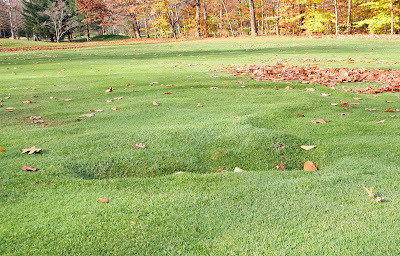 Styles of bunker edging may be altered to be more “maintenance free”. Instead of the consistently clean cut bunker edge, which requires extensive labor to maintain, some courses have opted for a shaggier look. 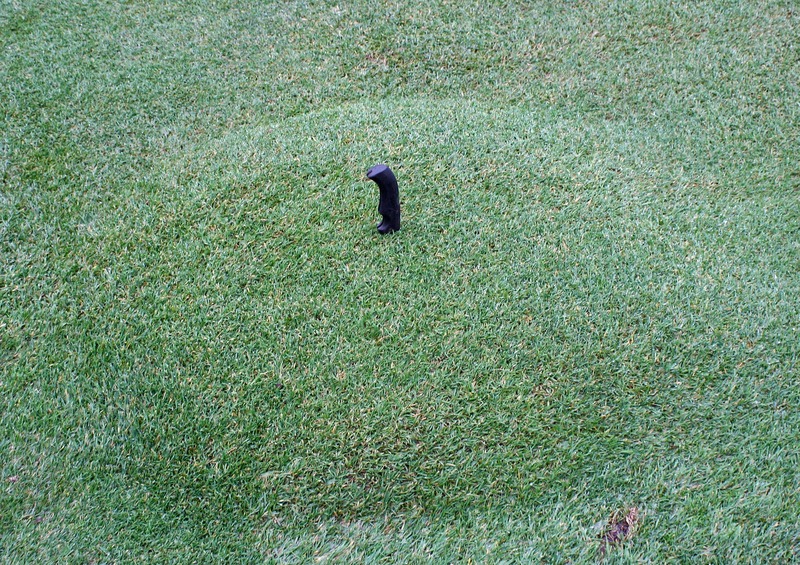 Allowing the turf to grow longer around a bunkers edge can not only reduce maintenance but provide an aesthetically pleasing contrast to the surrounding highly manicured turf. Have you heard that brown is the new green? Superintendents are sending a message. Dark green, lush, perfectly manicured, weed-free turf is not necessarily the most healthy, playable, environmentally responsible and fiscally prudent way to maintain your course! 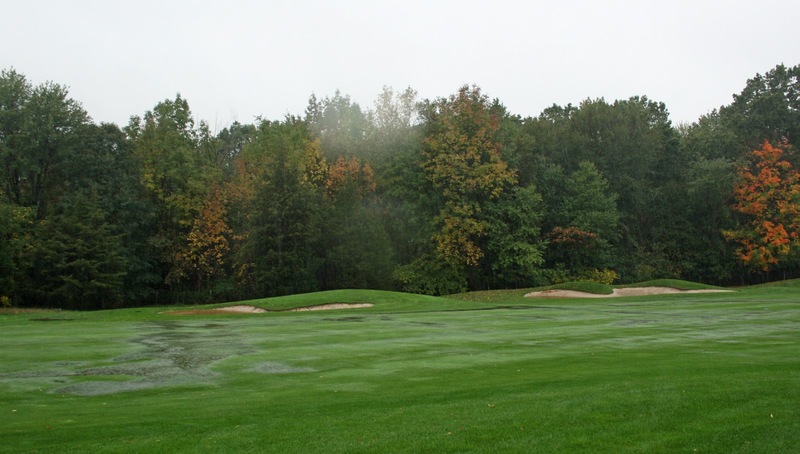 More and more superintendents are finding areas on their courses that they can convert to the “naturalized look”. Allowing native grass species to grow undisturbed can reduce maintenance, fertilizer and pesticide usage while enhancing the aesthetics of the course. 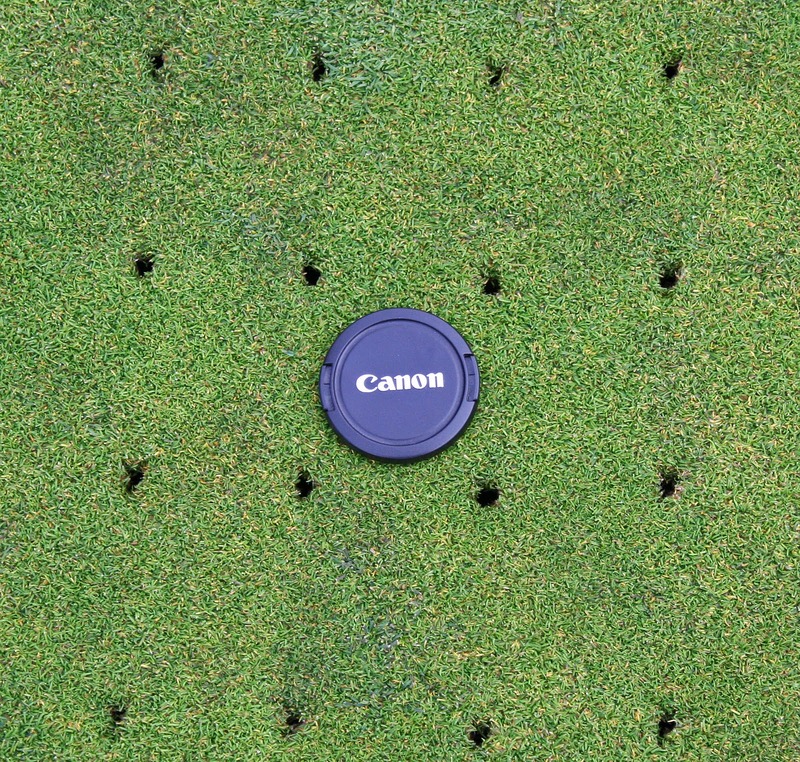 Many clubs have embraced this practice and are benefitting from the reduced costs, increased contrasting aesthetics and beneficial environmental results without reducing the speed of play. There are many more ways that superintendents are being creative in the approach to balancing budget cuts with player satisfaction. The world is changing and the play of the game with it. The true key to any courses success is in the knowledge of the players’ viewpoint, creative thinking, adaptability and communication. 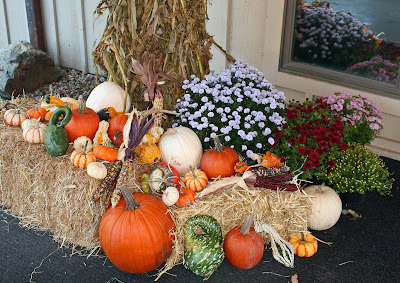 Enough for today… I have to jump on a tractor and blow some leaves this morning. No job too small! Besides, I’m a salaried employee. Gotta save some labor dollars! 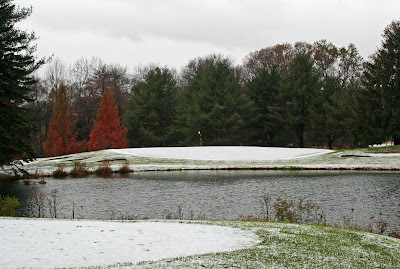 A light blanket of sleet and snow covered the course this morning. While it may seem like winter is here, I think there will still be some good golf conditions ahead. The forecast for the remainder of the week is encouraging. At this time of year I continually check the long range forecast to decide when I will need to start the process of preparing the greens for the winter. 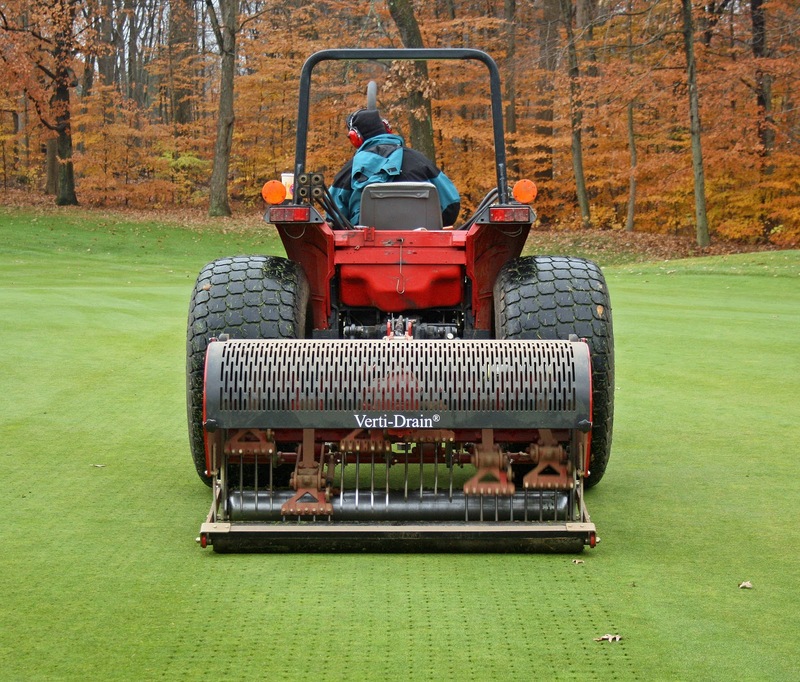 Winter preparation includes deep-tine aeration, application of snow mold protectant and finally heavy topdressing. In all, the process takes approximately one week. Continual consultations of the long range forecast and my crystal ball will help me hold out as long as possible before starting the "winterization" process. 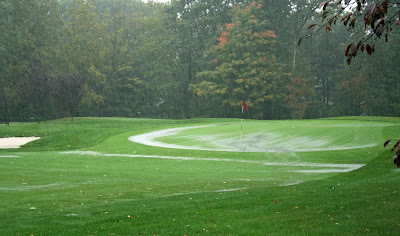 Enjoy the fine course conditions while they last. Winter is right around the corner. The USGA Green Section has posted their November regional update. Here is the reprint of the article which reviews the 2010 golf season. 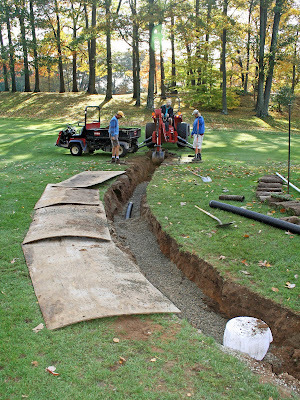 July was the hottest month of the summer for the majority of the Northeast Region, and many courses experienced problems as a result of the stressful weather, and damage severity often was related directly to certain infrastructure problems that exist on the golf course. 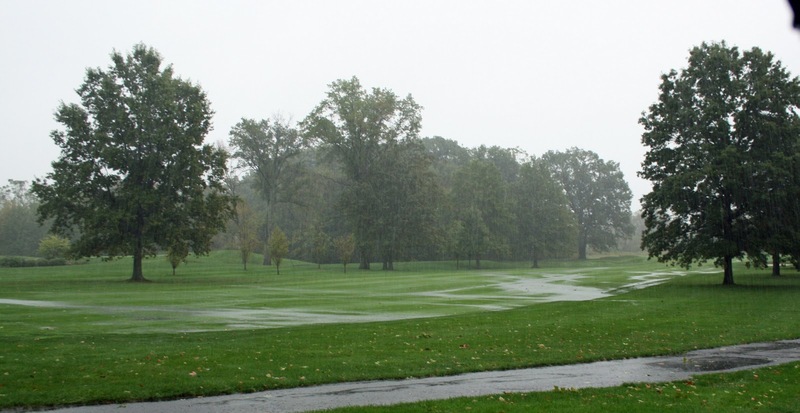 Correcting these issues will pay off the next time the course experiences stressful weather. Data source: weatherunderground.com. 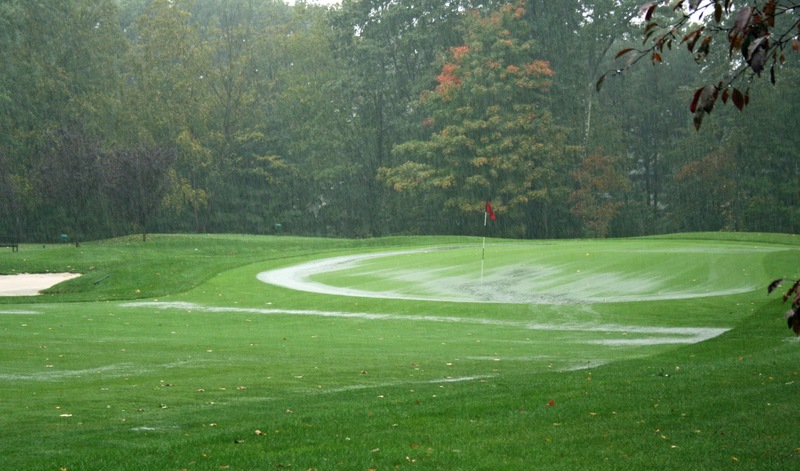 As golf courses in the Northeast transition into late fall, many golfers, course officials, and golf course superintendents continue to reflect on the summer of 2010. The simple description of the summer conditions can be summed up with two words…extremely hot. 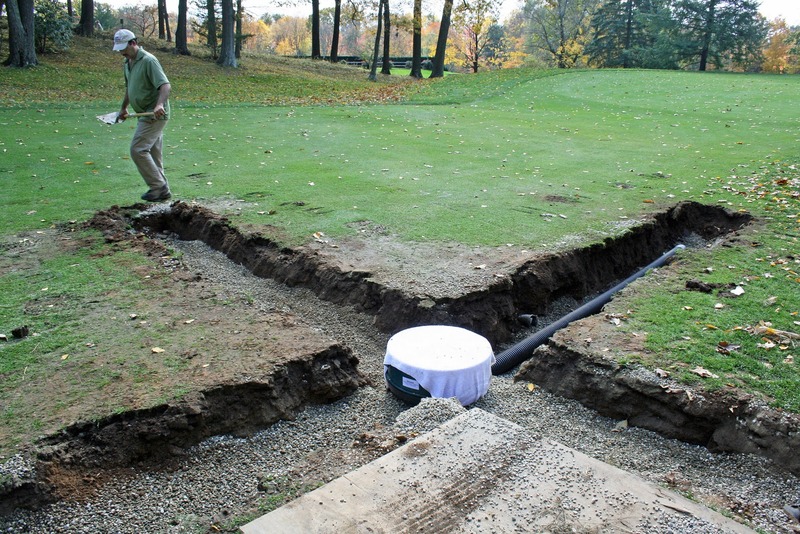 The summer weather wreaked havoc for many golf courses, especially if certain infrastructure problems existed. 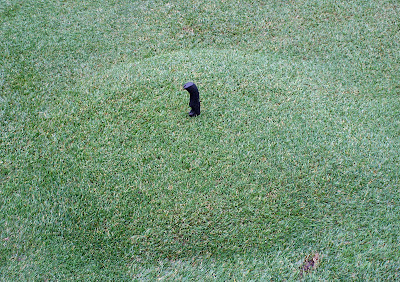 For instance, putting greens growing in microclimates with shade and/or airflow problems were often the first to decline. 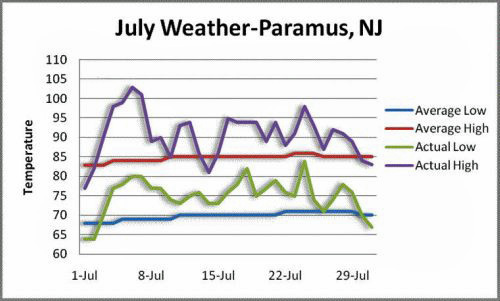 Greens with poor drainage characteristics, combined with an ill-timed heavy rainfall and hot weather, likely had problems. Now that the dust has settled, it is important to identify where improvements can be made to prevent similar problems from arising during the next tough summer. Below are some common infrastructure problems. 1. 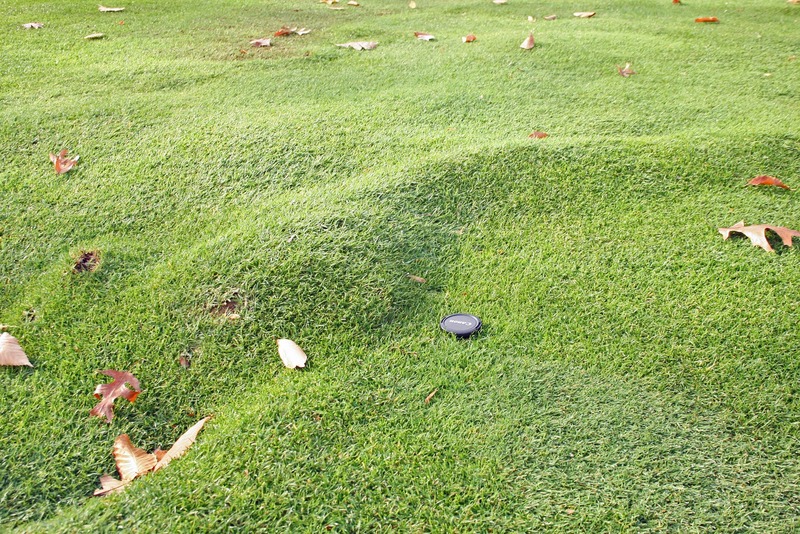 Poor microclimates: Turf needs ample sunlight and airflow to grow. These basic physiological requirements transcend trees and vegetation. 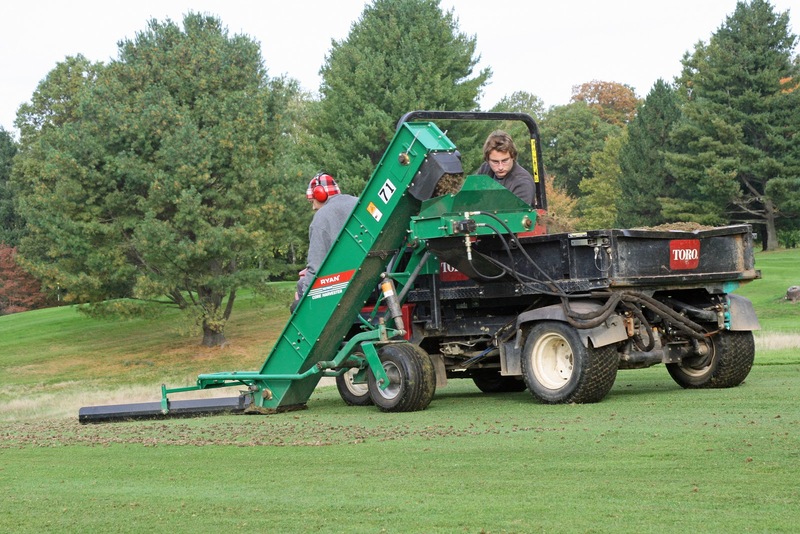 Large oscillating fans are excellent tools to supplement airflow and may be necessary on pocketed greens. 2. 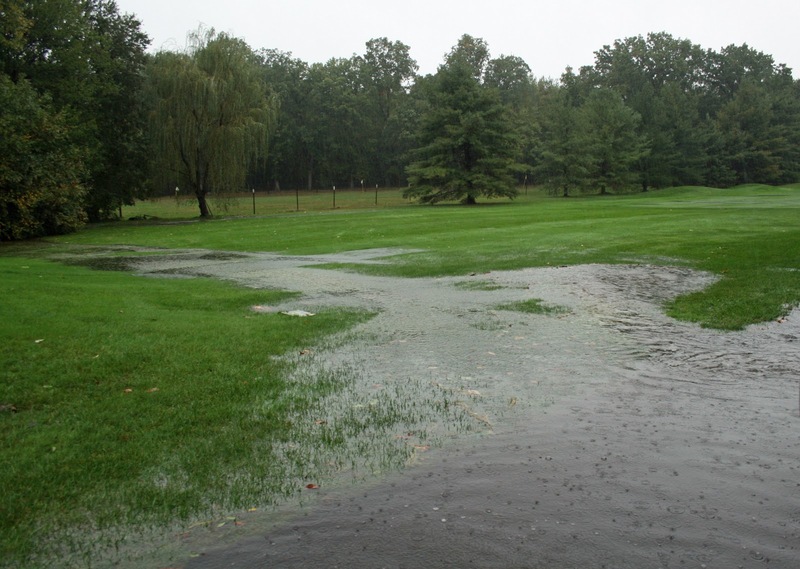 Drainage: Putting greens with poor drainage characteristics are prone to problems when heavy rain and hot weather combine. 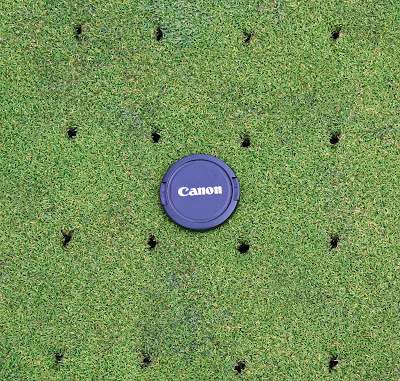 Poorly drained greens also tend to have poor soil oxygen, which is crucial for root health. Drainage can be improved by intensive core cultivation, topdressing, deep root-zone modification, internal drainage installation, and/or reconstruction. 3. 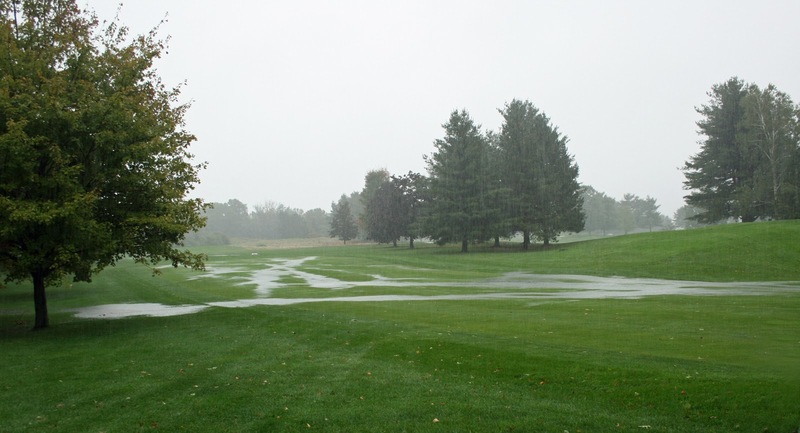 Irrigation Capabilities: Complete reliance on automatic overhead irrigation often leads to overwatering in low swales or where coverage overlaps, increasing the likelihood of turf decline. Indeed, having the ability to provide supplemental hand watering and syringing is highly valuable and recommended. 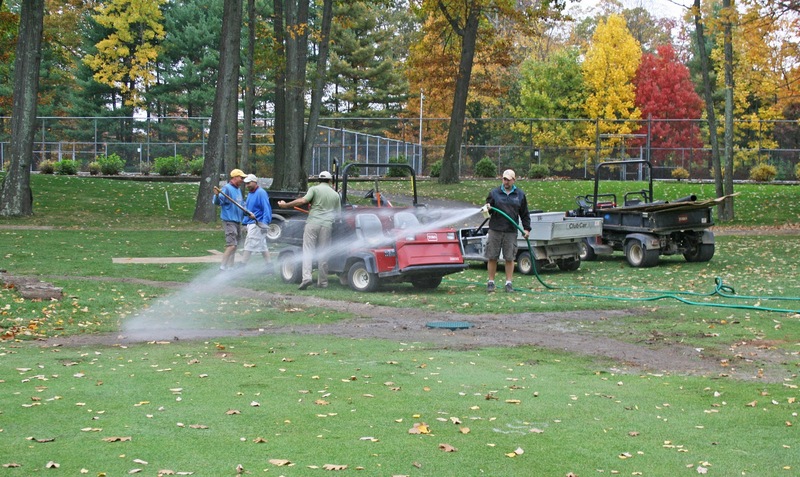 Budget constraints often are the primary reason for complete reliance on automatic overhead irrigation. 4. Surface Preparation: Mowing is a necessary cultural practice, but also it is a form of mechanical stress on turf. Ultra-low mowing heights, often in response to golfer expectations for fast greens, predispose putting green turf to numerous maladies during the summer. A sustainable mowing height and green speed range should be established based on the play volume, skill levels, and undulations that exist. 5. 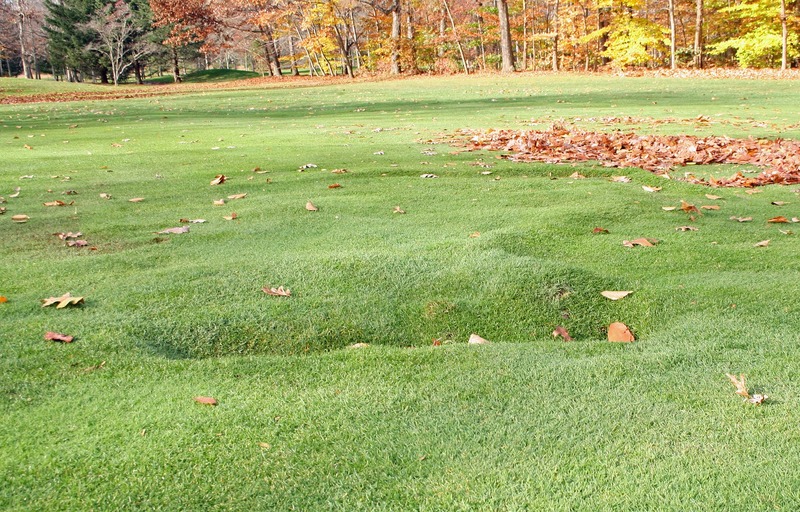 Concentrated Traffic: Many putting greens have bunkers, trees/vegetation and/or mounds located adjacent to the primary entry/exit location for golfers playing the hole. 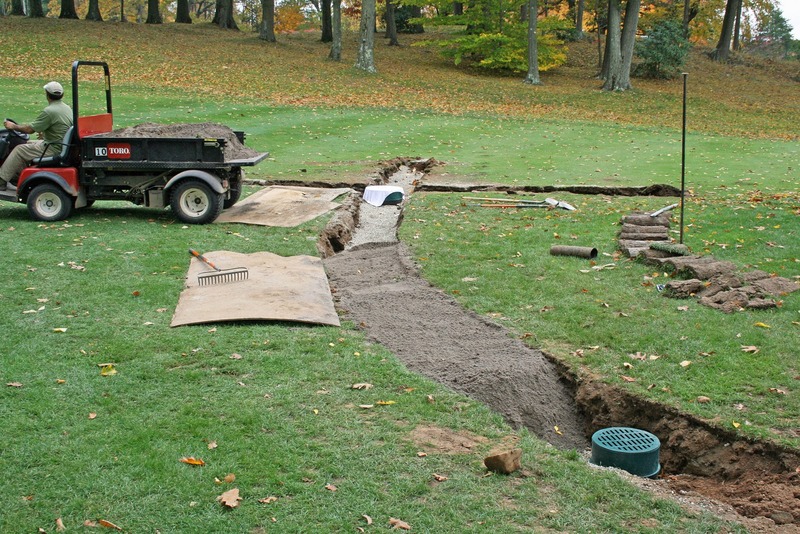 Adjusting traffic patterns can be accomplished by altering these features or through proper cart path design. 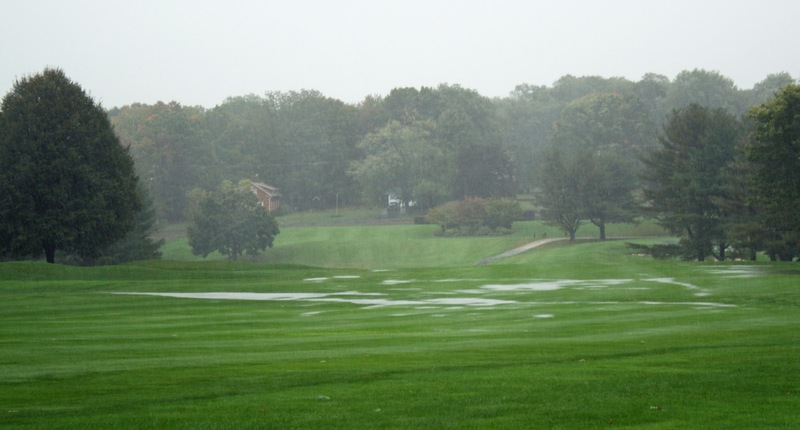 If more than one of the infrastructure problems listed above are present at your course, the potential for turf problems to arise is elevated, especially during tough weather. In many cases this summer, infrastructure problems were not severe and the weather alone was still too much for the turf to handle. However, golf courses with severe infrastructure problems were hit hardest, highlighting the need for corrective measures in the future. 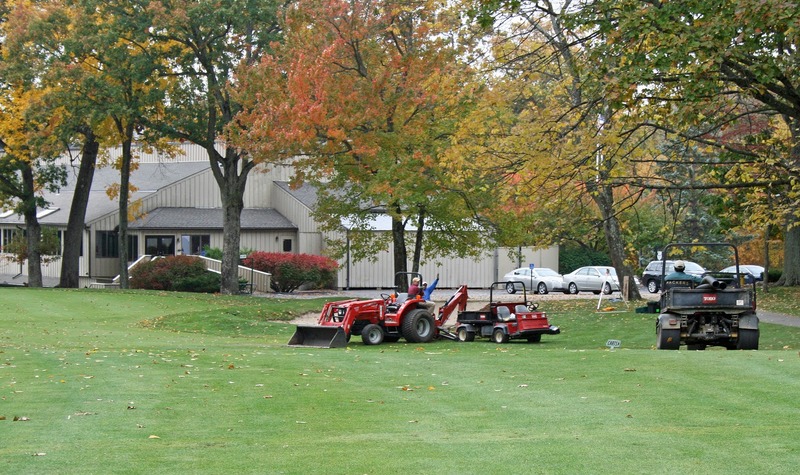 Golf course maintenance over the past few weeks has scaled back at most facilities. Turf growth has slowed significantly since the recent hard frosts. Mowing of putting greens, tees, and fairways should be performed as needed over the next few weeks until turf growth ceases completely. Leaf cleanup is a considerable focus for the majority of courses. This activity can be a very labor intensive and time consuming task, especially for those with limited staffs. Irrigation systems are being blown out to avoid damage that can be caused by freezing and thawing inside pipes during winter. Preventative snow mold disease applications are being performed throughout the region. 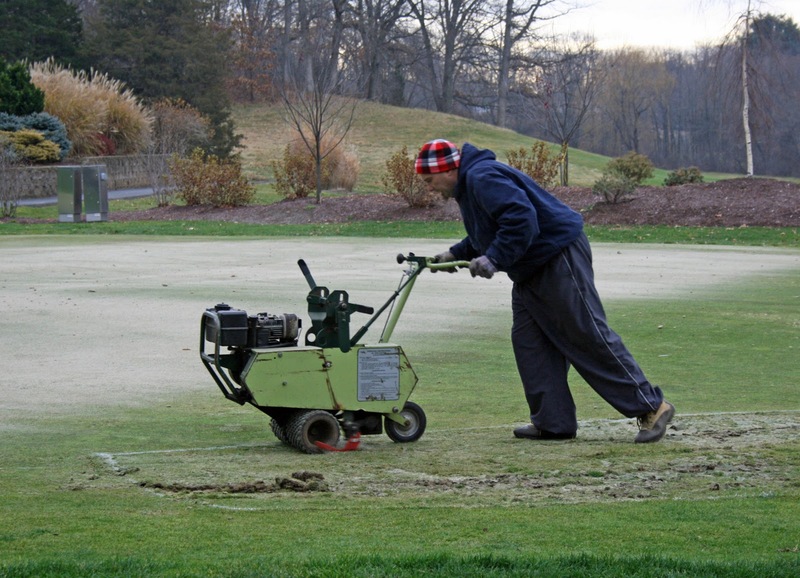 Finally, many golf courses are preparing temporary greens on approaches or fairways to avoid damaging the putting greens during winter play. We accomplished a great deal today. 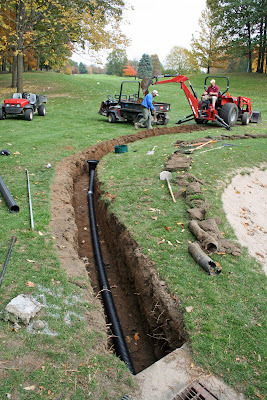 The maintenance staff worked hard to get the pipe and basins installed in anticipation of tomorrow's predicted rain. Here are a few pictures. 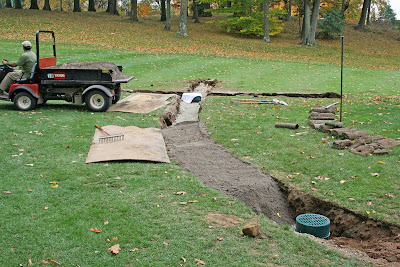 We have started the drainage project on #18 approach. 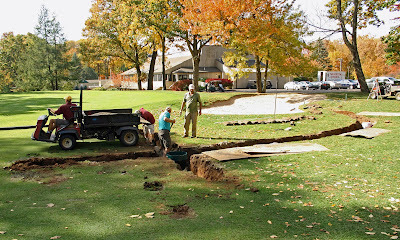 We are installing surface and sub-surface drainage throughout the approach to alleviate the ponding of water that occurs with almost every rain event. I expect the project to be complete this week except for some final sodding of the disturbed areas. The project will be a major improvement both functionally and aesthetically. Thank You For a Wonderful Year Ladies! 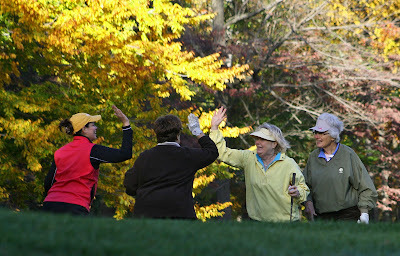 The ladies finished up the season with their closing day tournament yesterday. For those that braved the cool temperatures, wind and leaves, I applaud the effort. I hope everyone enjoyed the 2010 season! Check Out The Air Bubble in #9 Fairway! We had 1.5 inches of rain overnight. 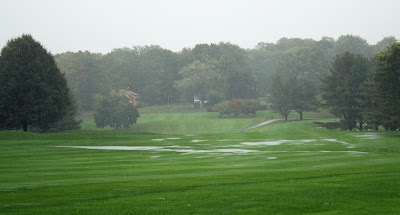 The course is open today but carts must stay on paths. Occasionally when we experience heavy rains, we get small patches of turf which separate from the soil beneath. There is a pocket of air trapped between the turf and the underlying soil. We release the air by cutting the turf with a knife. The turf lays back down and everything is fine. We aerified the front nine tees yesterday. We will complete the back nine tees as soon as the weather and golf schedule allow. We also took advantage of the good weather yesterday and lightly topdressed all nineteen greens. 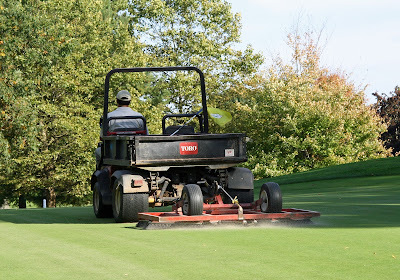 The light topdressing will further improve surface smoothness. It’s not the pumpkins I’m worried about. It’s the turfgrass. Frost delays in the spring and fall are common. The delays are an inconvenience to both the members and the maintenance staff. Frost is the formation of ice crystals in and on the grass plants due to low overnight temperatures. Foot and cart traffic will rupture the plant cells causing severe injury or death. We make every attempt to provide an accurate estimate of the time that we can allow play to begin. This can be difficult because there are several factors that effect this decision. Density of frost, temperature, tree shade and sun angle all play an important role in the estimation. 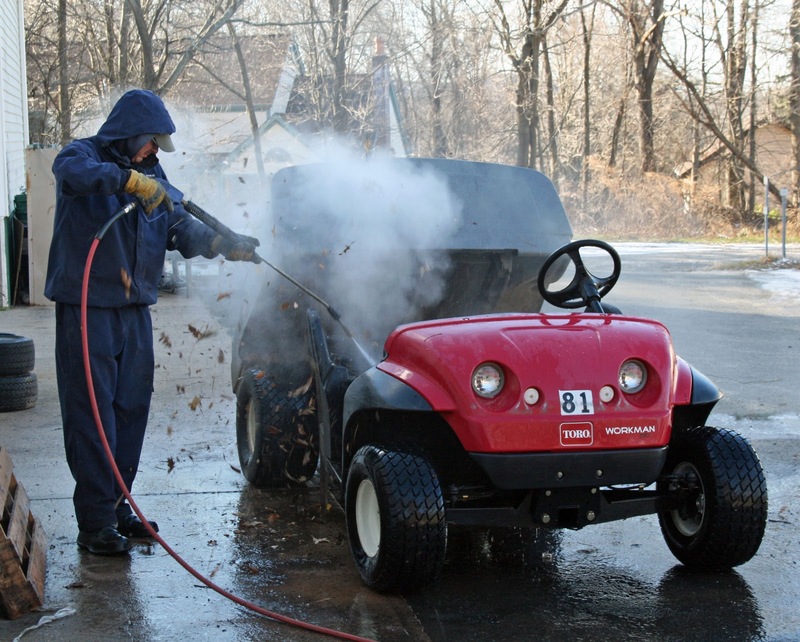 Once the frost has melted, the grounds crew still needs to complete leaf blowing, mowing, course setup and bunker maintenance prior to play. 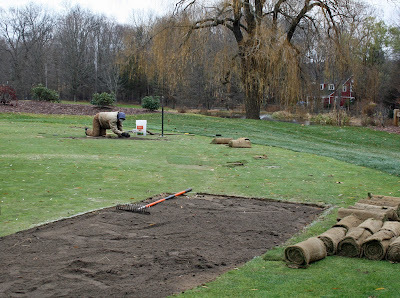 We appreciate your patience while we do our best to protect your golf course! Fall Landscape Display Is In At Clubhouse! Enjoy our annual autumn display! Two Inches of Rain and Counting! What does the course look like during a heavy rain event?